From time to time we are commissioned to copy objects. 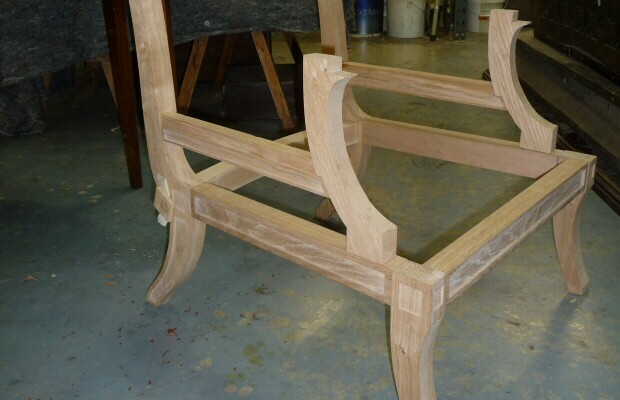 This can be for numerous reasons, extra dining chairs for an existing set or a pair to a piece that has been lost through damage or inheritance for example. 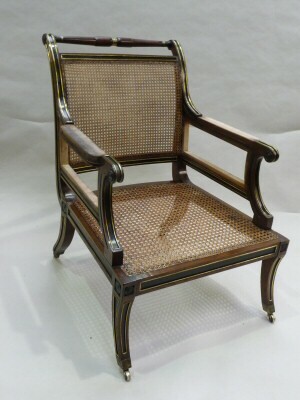 The example shown is a copy of a Regency oak library chair with a cane seat and back. Needless to say the projects are done in a way that an expert eye will not detect until a closer examination is made. With this piece for example, when the insides of the seat rails are inspected they will be able to tell this is not an original piece. 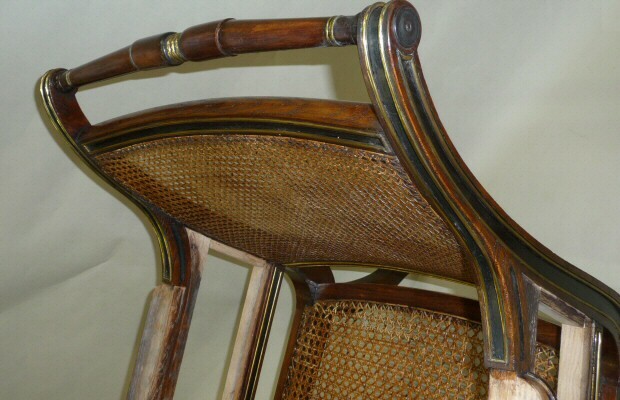 The seat rails were finished in a way not in keeping with the period, preventing the piece being passed off as an original. 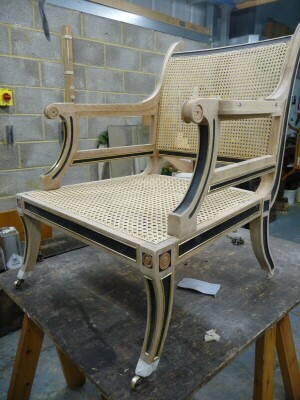 Another example here is of a Knibb long case clock awaiting completion. The movement is hand made and of traditional format but obviously not a Knibb piece and is signed by its modern day maker. We have made a case from photographs and are distressing and colouring it to look like 18thC. Although it’s not cheap to produce the client still has a more affordable variant of an original Knibb long case clock.